LA STELLA - Sunglasses - Optics "Ochi"
LA STELLA is a sunglasses for those who appreciate luxury and originality. Translated from Italian, this name means "star". Indeed, these accessories star fate. They attract attention with their unusual appearance, frame size and lens shape. Elegance, sophistication, individuality ... These words are perfect for characterizing LA STELLA sunglasses. The catalog of our online store presents the most popular models of accessories of this brand. The frame and glass are made of durable and lightweight colored polymer. Such products look profitable, practical and convenient. All metal parts have anti-corrosion coating and increased operational life. 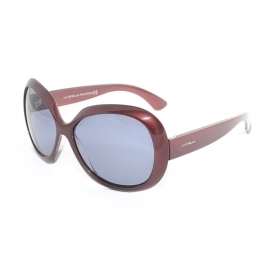 LA STELLA sun glasses are a great gift for a lady for any reason.